Frosted Frozen Glass Class. With this class each painter gets 2 large red wine glasses to paint. 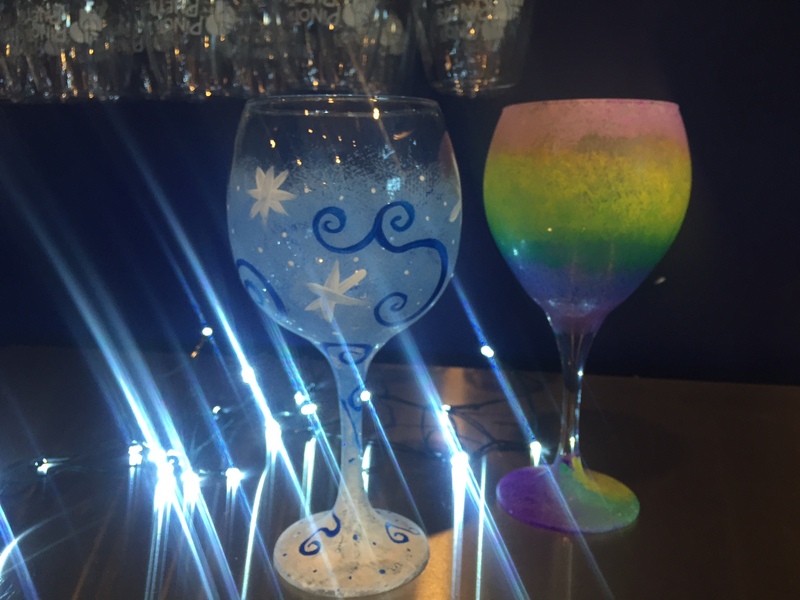 You have two designs to choose from Frozen Sunset or Frozen Ice...you can choose to paint one of each of paint two of a kind. Also each painter in class receives one free glass of wine with class (your choice!). Paint. Drink. Have Fun.